Be the first to share your favorite memory, photo or story of Eunice. This memorial page is dedicated for family, friends and future generations to celebrate the life of their loved one. Eunice F. Gaskill, age 84, of Monmouth, Illinois; passed away at 10:35 P.M. on Thursday, November 22, 2018 at Monmouth Nursing Home. She was born on August 4, 1934 in Fairbury, Illinois, the daughter of Fred G. and Gladys F. (Denewitz) Haase. Eunice attended schools in Fairbury until her family moved to Monmouth. She then attended Monmouth High School and graduated with the Class of 1952. On February 6, 1953, Eunice married Omar W. Gaskill in Monmouth, Illinois and he preceded her in death on September 7, 1991. Eunice worked in the office of Brown, Lynch, Scott in Monmouth. She was an active member of the First Lutheran Church and Ladies Circles. Eunice also enjoyed going to the boat and meeting her many friends for coffee. She annually went to Las Vegas to visit and play in tournaments. Eunice loved to travel; visiting Minnesota to fish with her family. She spent many hours at the Lake Warren cabin. 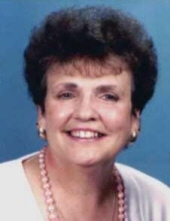 Eunice is survived by two daughters, Carolyn Thompson of Monmouth, IL and Gloria (Ron) Koch of Monmouth, IL, two sons, Omar "Butch" (Alice) Gaskill, Jr. of Burlington, IA, and Larry Gaskill of Monmouth, IL, thirteen grandchildren, thirteen great-grandchildren, and one great-great-granddaughter. Also surviving are one sister, Florence McBroom of Peoria, IL, and two brothers, Ivan (Paige) Haase of Florda and Irvin (Carol) Haase of Monmouth, IL. She is preceded in death by her parents, husband, one daughter Marilyn, and three brothers, Marvin, Alfred, and Frances. A funeral service is planned for 11:00 A.M. on Tuesday, November 27, 2018 at Turnbull Funeral Home in Monmouth, Illinois. Her family plans visitation for one hour prior to the service at the funeral home. Interment will be at Warren County Memorial Park. A memorial fund is being established for Monmouth Nursing Home. To send flowers or a remembrance gift to the family of Eunice F. Gaskill, please visit our Tribute Store. "Email Address" would like to share the life celebration of Eunice F. Gaskill. Click on the "link" to go to share a favorite memory or leave a condolence message for the family.